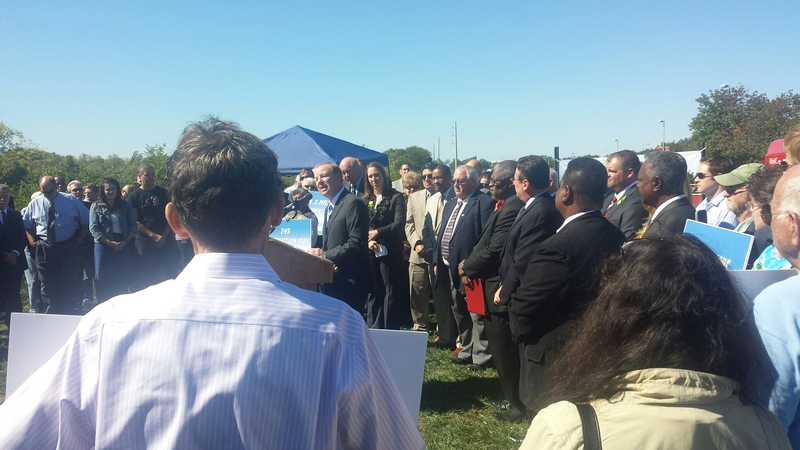 “This is an historic step forward for our entire community. The significance of this announcement, and its potential to shape our county’s growth for generations to come, cannot be overstated,” said Sanders. Dozens of supporters attended the announcement at the Truman Sports Complex, including community leaders, proponents of walking and biking, trail enthusiasts, and transit supporters. Kansas City Mayor Sly James, Raytown Mayor Mike McDonough, and Lee’s Summit Mayor Randy Rhoads, whose communities will be directly affected, attended the announcement to show their support.